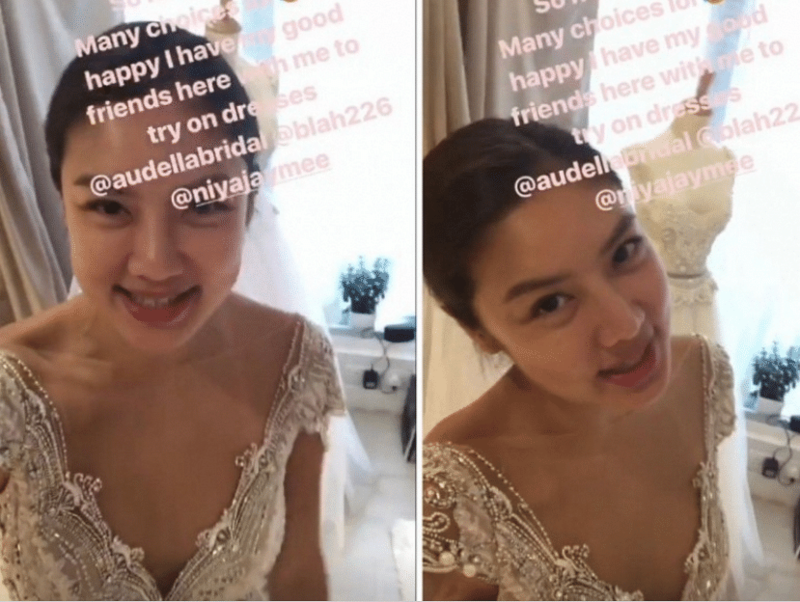 Hong Kong pop star Leon Lai's model ex-wife Gaile Lok has remarried, tying the knot in an intimate ceremony in California last weekend with businessman Ian Chu. Dressed in a bejewelled white and gold V-neck gown, her ceremony was attended by about 50 of the couple's closest family and friends. In a report by Apple Daily, the 37-year-old bride was quoted via a text message, saying: "I'm very happy, I give my husband 100 marks! I hope we'll be happy forever." Lok was previously married to Lai for four years before they split in 2012. In a Apple Daily report posted last month, she had said that she would not be inviting him to the wedding. She added that she was rarely in touch with him.